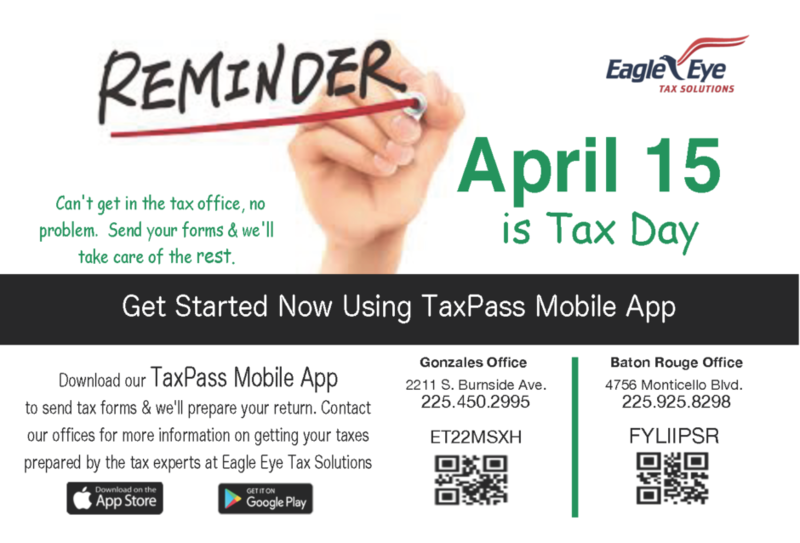 Eagle Eye Tax Solutions | Puzzled: File Tax Return Now or Request and Extension to File? Puzzled: File Tax Return Now or Request and Extension to File? As “the day”, also known as “tax day” is approaching, many Americans are trying to decided rather to file now or buy more time. When dealing with the possibility of a balance due, buying more time may result in an expensive investment. With the complexity of the Tax Cuts and Jobs Act, filing an extension sound like the best choice. However, be aware that an extension to file your return, is not an extension to pay. Which can result to excess interest and penalties due to the IRS. You can avoid them both by filing and paying on time. Even if you owe tax and can’t pay in full, it’s better to file on time and pay as much as you can. That will eliminate the failure-to-file penalty and help with interest on the unpaid balance. Be mindful that filing an extension does not extend the payment due date. For the most part, taxpayers must file their federal tax returns for 2018 by April 15, 2019. This year tax day actually file on the popular 15th in all states except, two that have until April 17 to file their 2018 tax returns. Patriots’ Day, an official holiday in Maine and Massachusetts that commemorates Revolutionary War battles, falls on April 15 this year. Normally, residents of those two states would get an extra day to file taxes. However, April 16 is Emancipation Day in the District of Columbia. The holiday honors the end of slavery in Washington, D.C. Since April 16 is a legal holiday in D.C., and the IRS can’t require that tax returns be filed on a legal holiday, taxpayers in Maine and Massachusetts get yet another extra day to file. To file timely and avoid penalties and interest, contact one of our office locations. Our staff is prepared to assist with timely filing, making payments or to request an extension where needed. If you haven’t applied for an extension by midnight April 15, 2019. Need more time to prepare your tax return? Contact us by April 15 to push your tax deadline back to October 15, 2019. If you are self-employed or have other first-quarter income that requires you to pay quarterly estimated taxes, get your payment postmarked by April 15, 2019 tax deadline. If you haven’t already funded your retirement account for 2018, do so by April 15, 2019. That’s the deadline for a contribution to a traditional IRA, deductible or not, and a Roth IRA. However, if you have a Keogh or SEP and you get a filing extension to October 15, 2019, you can wait until then to put 2018 money into those accounts.Last Day to claim 2015 Tax RefundApril 15, 2019, is the last day to file your original 2015 tax return to claim a refund. If you received an extension for the 2015 return then your deadline is October 15, 2019. Get 2018 IP PIN to file tax return?